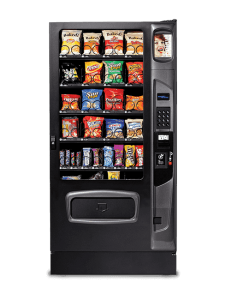 Vencoa has a fantastic selection of affordable snack and candy machines, at the lowest prices with 0% down and low financing. Glass from snack vending machine offering between 12 to 16 selections. Ideal for a location with limited space. 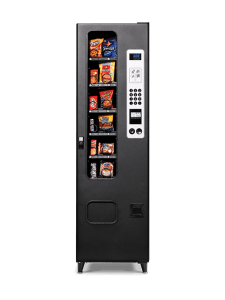 Advanced glass front snack vending machine with I-Vend technology, deluxe cabinet, and higher capacity than basic version of Mercato 3000 sold by Selectivend. 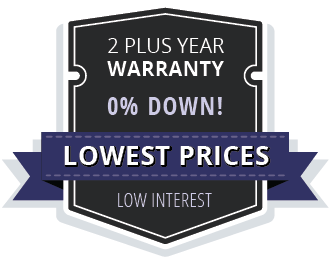 Offers up to 26 selections of chips, healthy snacks, pastries, candy, gum, and mints. Also available in cigarette, carwash, office supply, and other dry good configurations. Superior value to Mercato WS3000 with greater capacity and flexibility for vending a wide range of healthy food, snacks, microwaveable food products, pastries, candy, gum, and mints. Also available in cigarette, carwash, office supply, and other dry good configurations. 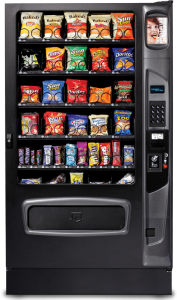 By far the best value and best selling vending machine in the snack/dry good category offered by USI. 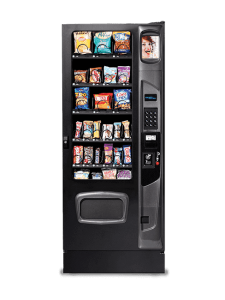 Vends up to 60 selections with maximum capacity and flexibility for healthy snacks, microwaveable food products, pastries, candy, gum, and mints. Also available in cigarette, carwash, office supply, and other dry good configurations.